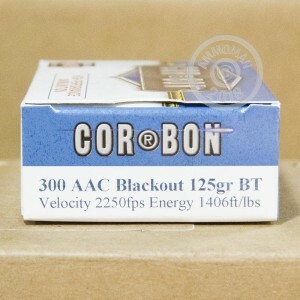 These .300 AAC cartridges from Corbon are a great choice for small to midsize game hunting. 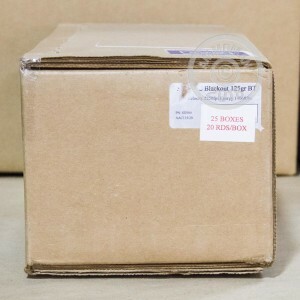 Each round in this box of 20 fires a light 125 grain polymer tipped hollow point at a muzzle velocity of 2,250 feet per second. While this high muzzle velocity reduces the effectiveness of a suppressor, it considerably increases long-range performance and expansion potential for hunting purposes. Excellent for coyote and boar. 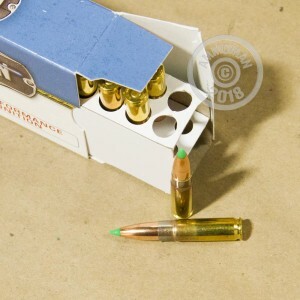 Corbon ammunition is loaded in Sturgis, South Dakota using non-corrosive Boxer primers and brass cases. Getting free shipping from AmmoMan.com is simple--place an order for $99 or more. There are no codes to redeem or tables to read.